Chocolate Snickers cheesecake cake is WOW! I made this cake for my husband’s birthday, and it was amazing. He loves Snickers, and since my daughter got a huge thing of Snickers for Christmas, I decided to use a few of them up. 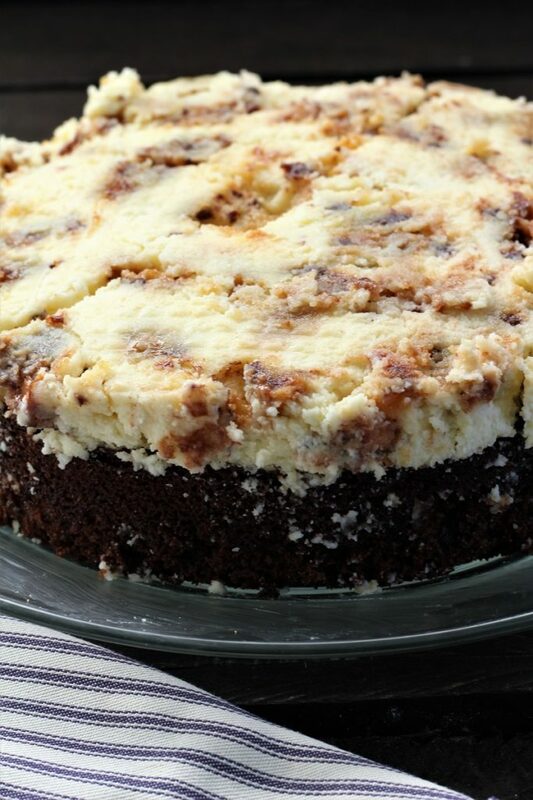 My husband’s favorite candy bar is Snickers and I love cheesecake, and so here you have it. I decided to combine the two of them, and this is what we ended up with. One amazing chocolate Snickers cheesecake cake. I think that I would even order it if I was eating out! It was really that good. 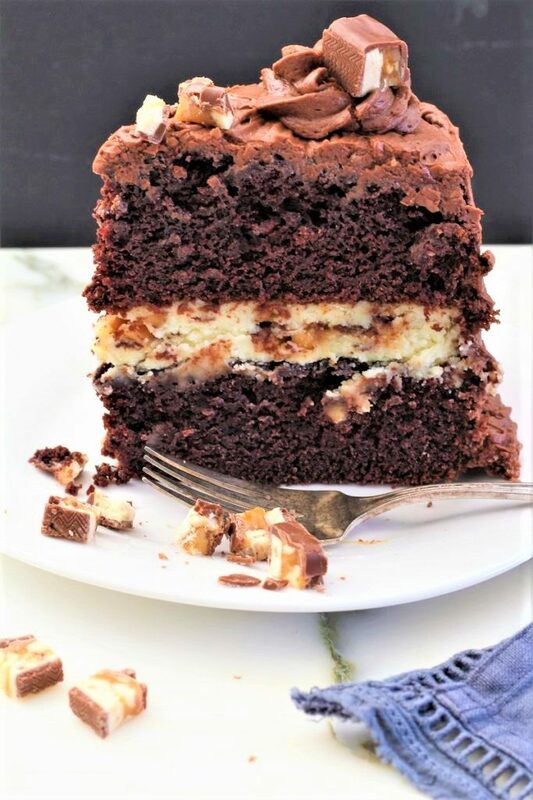 Chocolate Snickers cheesecake cake is one of those amazing desserts that you get once in awhile when you go out and eat. Yep, it really is that good. One thing for sure is that it might just have a few calories! Okay, I must admit that I lied today. I had one of those people keep calling me about my computer and telling me that my computer is having a lot of viruses, and that I had better get it taken care of. And so I told him that I knew why! I told him that I got sick and tired of my computer so I got rid of it. So, he told me that he was sorry to bother me and then he hung up. I wish that I could say maybe I will never get another phone call about my computer, but I am pretty sure that would be a miracle. What do you do when you have those type of people calling you? I know that he called 4 times in the same day. I am pretty sure if I gave him a slice of Chocolate Snickers cheesecake cake that he would not bother me anymore. He sounded like he lived in another country as I had a hard time understanding him. I do not like to tell lies, but I do get rather tired of dishonest people calling me, and telling me that they can see that my computer has problems. If that is the case, I will take it to the guy up the street and have him fix it. I am never going to give my bank info or credit card information over the phone, and I hope that you never do either. I know that people work hard for their money and I do not want dishonest people taking it from them. As you can see in the picture above, I needed to take one more picture. My son came out a couple of hours after dinner and asked me if he could eat another slice of cake. I told him no! I need to take another picture. 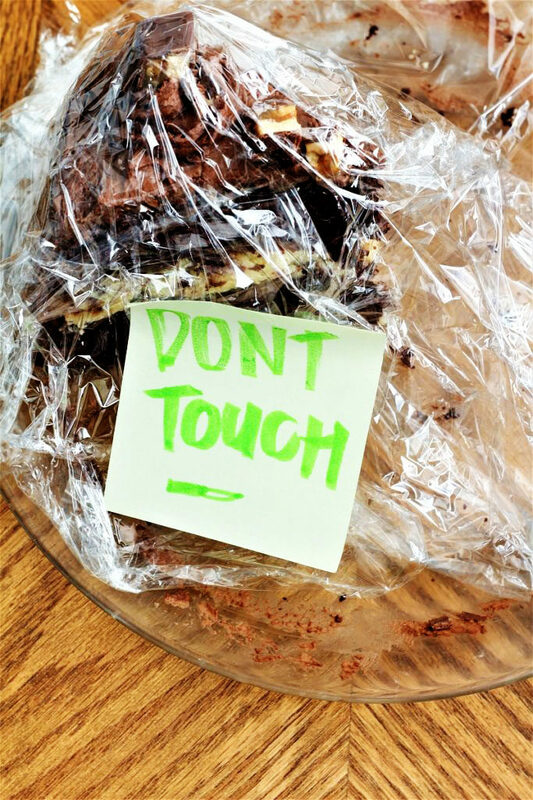 So we put a note on this slice of cake so that I could take a picture when the lighting was better. Then my son that just got a new baby that we were on our way to see, sent me a text that read “You better bring some cake”! So I put a piece on a plate and took it with me to the hospital. When we got ready to come home after seeing our beautiful granddaughter, I saw the cake. So my sweet husband took it back inside so that they could eat their cake. So now the next question is what kind of cake am I going to make for my birthday in a few weeks. I really love Reese’s peanut butter cups. But then again, I really like all kinds of cake, and I am just not that picky. Maybe I will have my family surprise me. That would be a great idea. I like chocolate, but I think that I enjoy vanilla just a little bit better. Raspberry would be really good too. What kind of cake do you all think that I would enjoy? Well here are some of the ideas that I have that I would suggest for making this delicious chocolate snickers cheesecake cake. 1- I trimmed the cheesecake part of this cake because it was bigger than the cakes, by taking a sharp knife, and cutting it the same size as the pan. 2- Make sure that the cheesecake part of the cake is cooled completely. I placed it in the fridge as this makes it set up pretty firm. 3- Store the remaining cake in the refrigerator, but it was our favorite the first day it was made. My husband even warmed it up after we had put it in the fridge. In a large mixing bowl, combine sugar, oil, eggs and vanilla. Sift the flour, baking soda, baking powder, cocoa, and the salt. Mix on low for 2 minutes, then slowly add the buttermilk and the water. Clean the sides of the bowl again and mix on high for 2 - 3 minutes. Grease and flour 2 9" round pans. Bake cakes @ 350 degrees for 35 - 40 minutes or until the cake tester comes out clean. When the cakes are done, let cool in the pans for 7 - 10 minutes. Then remove them to a wire rack and allow them to cool completely. In a mixing bowl, mix the cream cheese. Add the sugar and the eggs, and beat until they are nice and smooth. Chop the 3 large Snickers bars into small pieces and fold into the mixture. Lightly grease a 8" spring form pan and then line the bottom with parchment paper. I cut a circle that fits the bottom of the pan. Place the cheesecake mixture into the pan, and cook @ 325 degrees for 45 - 55 minutes or until a cake tester comes out clean. Remove the cheesecake and allow it to cool for 1 hour or more. I like to bake the cheesecake first and then after it cools for 20 minutes, place it in the fridge. Then I make the cakes. After both the cakes and the cheesecakes have cooled, place one cake on a large plate, and then place the cheesecake on top of the cake, then add the other cake on top of the cheesecake. My spring form pan is larger than my cake pans so I just trim the cheesecake down to size. Frost using any frosting you like. Add additional snickers for garnishing. I told the phone caller I didn’t have a computer. After a couple of calls and my response, they stopped calling me too! This cake looks amazing! Happy new grandbaby. I adore babies. Oh Linda, those scammers do get rather annoying, an we have things to do! :) Thank you so much, the grand babies are so sweet and priceless! Thank you for stopping by and enjoy your weekend!! Oh yum!!! 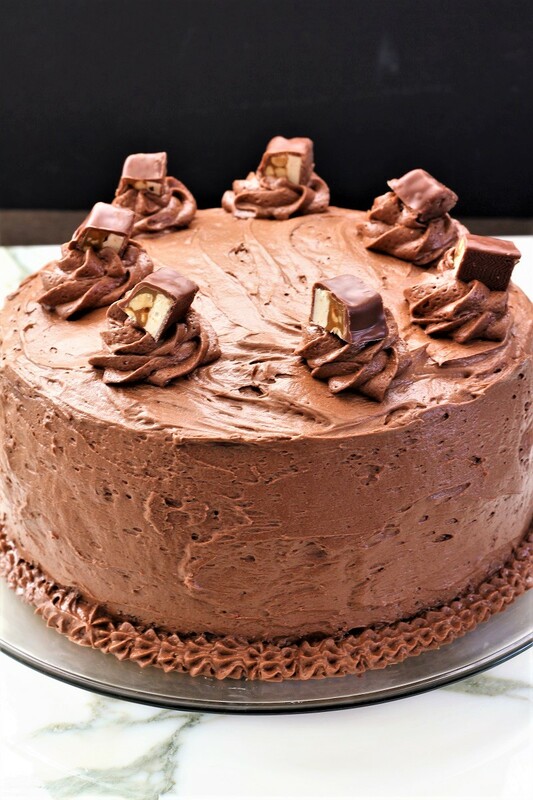 This cake is perfect for Snickers lovers. Definitely a cake my hubby would want for his birthday. Ha ha, sounds like our hubbies are a lot alike. Thank you Kelly. I would have had to eat the cake, note or no note! And congrats on the new grandbaby! Ha ha! You are the best! These little grand daughters are keeping grandma hopping! Thank you Carlee. Wow! That looks amazing. I just love anything with cheesecake and chocolate. YUM. Pinned. Thank you! I agree, cheesecake is wonderful, and this makes a nice combination. Thank you so much for featuring our chocolate snickers cheesecake cake. We had it for my hubby’s birthday and he absolutely loved it. We appreciate you so much for hosting the party each week. Have a great week. Ha ha! Yes, I understand sometimes the temptation is just more than one can stand!! Large families are awesome, I am the youngest of 9 😉 Thank you for stopping by and have the best week ever! Wow does this look delicious! Not sure it’s on our diet, but that’s ok.
Ha, ha. Darn diets! 🙂 I agree, it is okay! I just wanted to let you know that I featured your Luscious Cake on Over The Moon Linky Party. I thought I sent you a comment but looks like I didn’t. Hope you have a great week. I did get your comment, but thank you for being so dedicated in following through. Thank you so much for featuring our chocolate snickers cheesecake cake. We had it for my hubby’s birthday and he absolutely loved it. We appreciate you so much for hosting the party each week. Have a great week. I couldn’t stop at just the mousse! Had to check out this recipe too 🙂 Looks amazing! I’m going to go dig into a plate of turtle brownies now. It’s not quite the same thing, but it’s the best I’ve got on hand! Wow! I would love for someone to make me one of these, but I may just have to do it myself. I’ll be featuring you at Best of the Weekend tomorrow. Thank you so much for sharing! Wonderful!!! Thank you so much. I would love to make you one and I could use a new neighbor! ;)Thank you so much for sharing, and have a wonderful weekend.